Your guide to a totally local craft brew holiday bash. ’Tis the season for the cavalcade of Gerwurtz/Reisling/Cab recommendations to begin their flurry as we collectively wonder what lovely adult beverage will go best with the turkey, ham, and prime rib that mark the groaning boards of the holiday season. 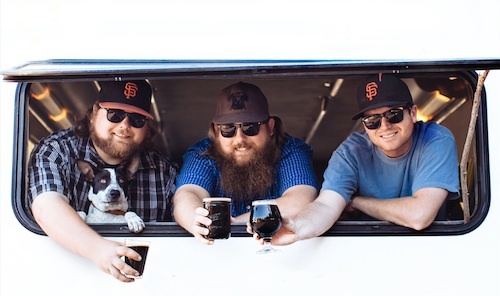 Avid home brewers, co-owners Robert Watkins and brothers Ronald and James Holt noticed more and more beer aficionados making pilgrimages to the North Bay. To encourage this wave of sudsy tourism, they launched their business in 2010 to ferry visitors to our established and emerging breweries on comfy buses customized with kegerators. Keeping it fun, informative, and easy, they share behind-the-scenes stories, describe the beer-making process, and offer tasting and pairing tips. We invited Rob, Ron, and James to share holiday-friendly beer pairings with a dish-by-dish approach. Pairings help us slow the pace of the feasting. Sip a little of this, taste a little of that, and see how the flavors work together. Of course, you can enjoy any of the beers below at any point of the big meal. Grab your growlers and get set for a holiday meal to remember. Notes: This beer is named for an interesting (or incredibly frustrating, depending on your perspective) phenomenon: the Highway 101 traffic jam that arises from people slowing their cars to look at the pumpkin patch and corn maze set alongside the freeway in northern Petaluma. The Pumpkin Patch Traffic Jam smells like pumpkin pie and has some nice spicy notes. Unlike many pumpkin beers, it’s not overly sweet, has a lighter mouth feel, and is very drinkable. This beer would go great with such roasted vegetables as Brussels sprouts. The little bit of bitter spice notes from the beer cuts through the palate, making it a perfect refresher. 30-45 minutes, until the outside leaves are crispy and brown. Notes: This is a well-balanced, malty red beer with noticeable pine and citrus flavors from the hops. We paired it with mashed potatoes with smoked Gouda cheese and bacon bits. This dish has a creamy texture with smoky and savory notes, and we chose the Hyperion Red Ale because the slight bitterness mixed with the pine and citrus flavors provides some refreshing contrast to the heaviness of the mashed potatoes. Notes: Lagunitas’ Censored Rich Copper Ale (or the beer formerly known as the Kronik) often gets overlooked in favor of its more hoppy West Coast-style pale ales but remains one of our favorite local amber ales. We paired it with a classic holiday dish, the green bean casserole, because while both the beer and the dish don’t have the most intense flavor profiles, they both have a well-deserved place on the menu. In a tasting flight, you want to taste beers in order of robustness because as you step up in flavor intensity, it’s harder for your palate to distinguish subtler flavors. (A general rule of thumb is to go by IBU or International Bittering Units. The higher the IBU, the more bitter the beer.) We’d place the Censored Rich Copper Ale somewhere in the middle of most flights, as it’s sweeter and has more body than a light lager or a pale ale, but it’s not as bitter as an IPA or as malty as a stout. However, it is well balanced, refreshing, a great palate cleanser, and easy to drink. Notes: This Imperial Brown Ale is brewed with both coffee and California dates. Rich and sweet with some coffee notes, we thought this would pair well with the distinctively tart flavors in cranberry sauce. Since cranberries have such a strong flavor, you need a beer with some malt backbone to stand up to this dish. With beer and food pairings you do not always have to try to match flavors, but sometimes you want to complement or contrast. While normally we might save the sweeter beers for dessert, in this case the sweetness of Ninja Date Night works really well to bring your palate back to neutral after a bite of cranberry sauce. Notes: Stuffing is almost as important as turkey. Everyone seems to like theirs prepared a little differently, baked into the bird or outside, enlivened with oysters or made from cornbread. The one thing (almost) all stuffings seem to have in common is bread. Enter the El Oso Mexican Lager. It’s a nice golden-colored lager, crisp, slightly sweet, a little hoppy, with flavor notes of light toast, bread, or biscuit. There are other good reasons to go with El Oso. Stuffing can be dry or covered in a salty gravy, and, in either case, that makes you thirsty for something light that will slake that thirst. Additionally, you may have guests who are used to drinking adjunct lagers from large, foreign-owned, “domestic” beer companies. This is the kind of beer that you see clever ads for during football games. For these guests, El Oso will likely be an excellent introduction into the more flavorful world of craft beers. It’s a refreshing and easy-to-drink lager but made locally with traditional ingredients and processes, and that makes all the difference. Notes: For this, we chose a beer with some flavor that could stand up to, but not overpower, the star of the meal. A Saison-style beer is perfect, and Old Redwood Brewing Company’s Picker’s Saison is a unique one. Lighter-bodied with a hint of peppery notes, it’s refreshing after the turkey and its spice profile sends you right back to the beer. In addition, there are Chardonnay grapes infused into this beer, giving the fermentation a fruity finish. Notes: We immediately thought of the White Cat Vanilla Porter from Third Street Aleworks for this dessert. Their Black Cat Porter is already like a dessert; rich and roasty chocolate notes come from the malt, making it smooth and easy to drink. A few years ago, they began infusing Black Cat Porter with real vanilla beans. The vanilla is present in both the aroma and the flavor of the beer, but it is not overpowering. Pair it with pumpkin pie and a scoop of good vanilla ice cream. Both the beer and the dessert are rich and creamy. The pumpkin pie brings a nice warm spice to the mix, and the dark roasted malts have notes of coffee or chocolate. It’s a perfect way to end a long holiday dinner. Pulling the Bird: Okay, I love beer but I hate turkey. Now what? Notes: A fillet of salmon makes a wonderful change for a holiday main dish. Lemon tones are present in the aroma and flavor of the Citrus Wheat Ale, which makes a knockout combo with fresh salmon. Lighter in body and mouth feel, it still holds its own against a meaty fish. This wheat beer pushes a bit of spice, without overtaking the salmon. 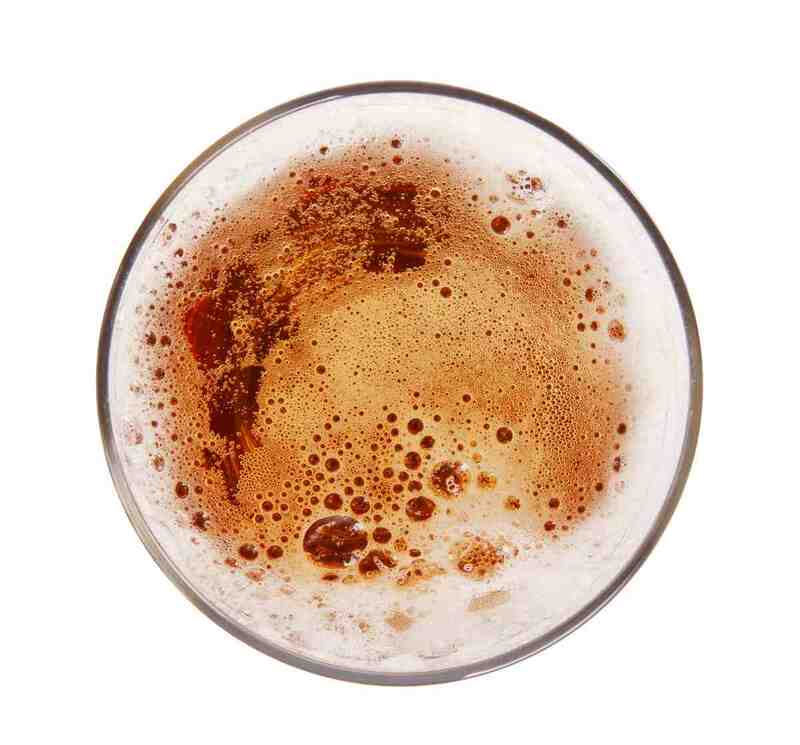 Notes: Bombay Rouge is a hybrid style between a Red Ale and an India Pale Ale. It is strong and balanced, both hoppy and malty, with a touch more than medium body and mouth feel, making it a perfect beef pairing. Sweet tones from the malt cut the bitterness and spiciness from the hops and horseradish sauce. Some of our recommended beers are available only at the brewery. Call first to ensure they’re not sold out.